Product prices and availability are accurate as of 2019-04-24 08:07:16 UTC and are subject to change. Any price and availability information displayed on http://www.amazon.co.uk/ at the time of purchase will apply to the purchase of this product. 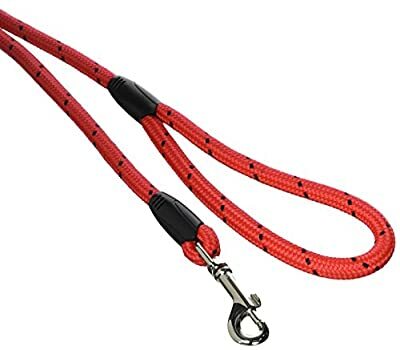 The Rope Twist Lead/Leash is a really useful leash for any dog guardian! These dog slip leads have been designed to meet the rigors of today's varied exciting outdoor pursuits. If you enjoy walking, rambling and hiking with your dog, then these high performance Rope Twist slip leads are perfect for you and your pet. The 100% polypropylene rope gives strength and durability with unique quality fittings and in a range of functional colours. These rope slip leads are 64ins in length. Available in Black/Blue, Brown/Teal and Red/Black colour combinations.